Josh Davis is the Executive Director of Proskuneo Ministries and the director of the Proskuneo School of the Arts in Clarkston. Josh and his wife, Jennifer, (who is a Clarkston native!) moved to Clarkston in 2013 because they wish to raise their four children in the rich cultural diversity of Clarkston. Brian Khang Le comes from Los Angeles, where he obtained his BS in Biochemistry from UCLA. He moved to Atlanta for his Master's of Public Health - Policy and Management at Emory University. He has been working and doing community work in Clarkston since he moved to Atlanta, where he had been putting on the annual Clarkston 5K race/walk. He works in substance abuse prevention, focusing on the areas of mental health promotion, substance abuse prevention, and suicide prevention. Currently he oversees substance abuse grants over all of Northern Georgia. Denise Quigley is originally from Boston, Massachusetts, where she earned a Bachelor of Science in Education from Northeastern University and a Master of Science in Education from Wheelock College. She then completed her Juris Doctor from Western State University in California. Denise now lives in Tucker, Georgia with her husband, Richard, and their daughter, Jenna. Denise is the former editor of the National Down Syndrome Congress newsletter, Down Syndrome News, and former editor of DSAA Today, the newsletter of the Down Syndrome Association of Atlanta, a nonprofit organization that provides support and information to individuals with Down syndrome and their families. An attorney, former special education teacher, and mother, Denise has long been an advocate for individuals with disabilities. She works to protect, advance, and enforce the rights of people with disabilities to freely exercise their own life choices and fully participate in community life. Denise is the Director of Resource Advocacy at the Georgia Advocacy Office (GAO). GAO's work is mandated by Congress, and GAO has been designated by Georgia as the agency to implement Protection and Advocacy within the state. At the GAO, Denise responds to requests for assistance from individuals regarding abuse, neglect, and discrimination issues related to their disability and has given presentations across Georgia about GAO and advocacy. Angela Moore has been an advocate for the festival from its inception. As a founding member, Angela served as one of the Co-chairs for the 1st two years and was instrumental in securing funding via the neighborhood fund. Angela is a power house supporter of and for the Clarkston Community. Lady A, as she is affectionately known throughout the community, is a connector of people and is known for getting things done. As the Community Relations Director for the K.D. Moore Community Development, Inc, Lady A seeks to connect the people of Clarkston by bridging educational, social, physical and cultural gaps. Angela is also the wife of the Pastor of the Clarkston First Baptist Church-Clarkston's largest religious congregation. Dr. Adam J Nykamp has been an educator at Indian Creek Elementary School since 2000. He has taught in the classroom as a 2nd and 5th grade teacher, operated the computer lab (utilizing math and reading online curriculum), and currently serves as an Academic Coach in the areas of literacy and math. As an education enthusiast with advanced degrees in ED Instruction and ED Leadership, Adam sees the need to connect with community, leading to his additional roles as school PTA president for 3 years, as a collaborator with numerous Clarkston groups/individuals/committees discussing community improvement / engagement / education / partnerships, and as a member of Clarkston International Bible Church, currently serving as the Mission & Outreach chairperson. He is passionate about community sustainability, growth, and overall well-being, which led him to take part in the planning of the Clarkston Culture Fest since 2014. He has served as the "Activities" (Fun Zone) chair since 2014. Kim Ault is one of the original members of the group that would form the first Clarkston Community Festival. Stemming back to 2011 (3 years before the first official Clarkston Community Festival), Kim was involved in the Clarkston Common Place USA project when she first applied for a grant for community building. Over the next years, she built valuable ties between community organizations and individuals who would eventually mold and shape the common dream of a community festival for the amazingly diverse city of Clarkston, Georgia. She teamed with the Clarkston Development Foundation, youth teams at the Clarkston Community Center, Angela Moore who was part of a community transformation project around that time, and city leaders to form the early conception. Youth rallies to end bullying, a Clarkston Youth Initiative panel discussion about “how to make our community better”, connections with the deaf community through the Atlanta School for the Deaf, and her own research case study with community leaders in various cultural groups led to a common theme of forming a powerful community through cultural differences and human similarities. All of this eventually led to the festival theme of “Educate, Appreciate, Celebrate”. Her aim in this development over the years was to arrive at HOW we can sit together as individuals with all of our differences in culture (education, religion, food, art, etc.) and backgrounds. It is an idea that continues to grow in Kim’s mind to this day. Ms. Harris developed the 5K race component of the Clarkson Community 5K Festival initially as a fundraiser to benefit families with Deaf/Hard of Hearing children. 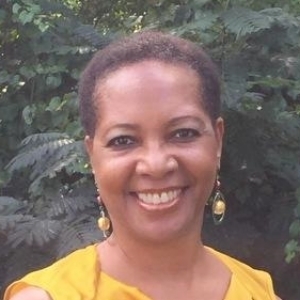 As a member of the Clarkson Community Festival Committee Ms. Harris broaden the scope of the fundraiser to be an opportunity for extensive community connections and engagement. She added a component for organizations joining the event to have an opportunity to raise money to meet their individual goals.